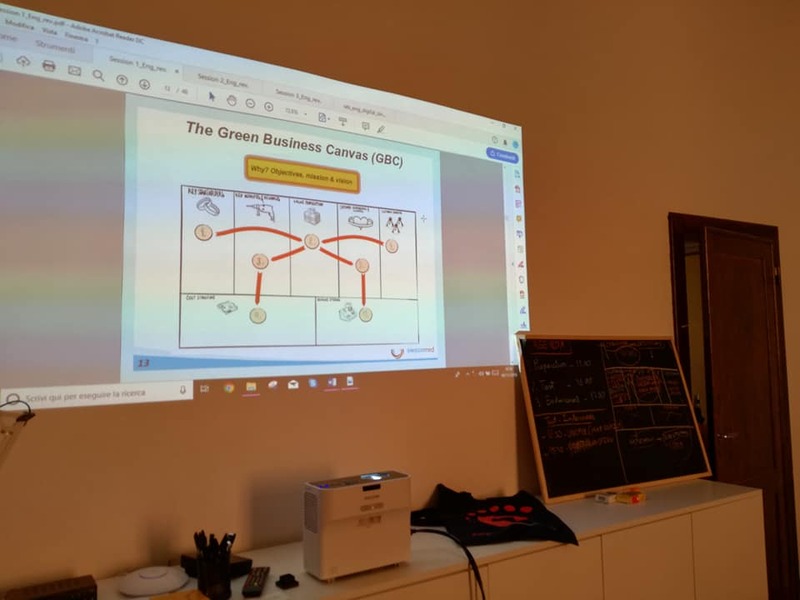 On November 9, at Fondazione Rusconi, in Bologna, under the coordination of University of Bologna (UNIBO) - Green Office, led by Sara Pennellini, Ecopreneurs for the Climate facilitated an intense, 1-day, hands-on incubation session, within a 5-month online follow-up program, starting right after the Bologna ROCK Hackathon in May, and aiming to develop the social businesses that resulted. 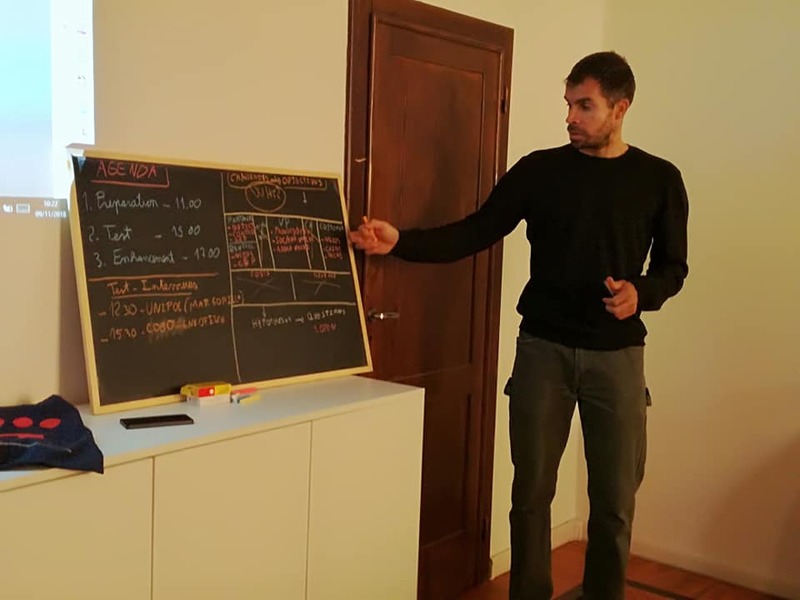 In particular, two projects took part in the incubation: BackBO -Bologna ROCK hackathon’s winner-, and the merger of the two winners from last year’s Climate-KIC Climathon in Bologna: Zefiro and Stay Cool. 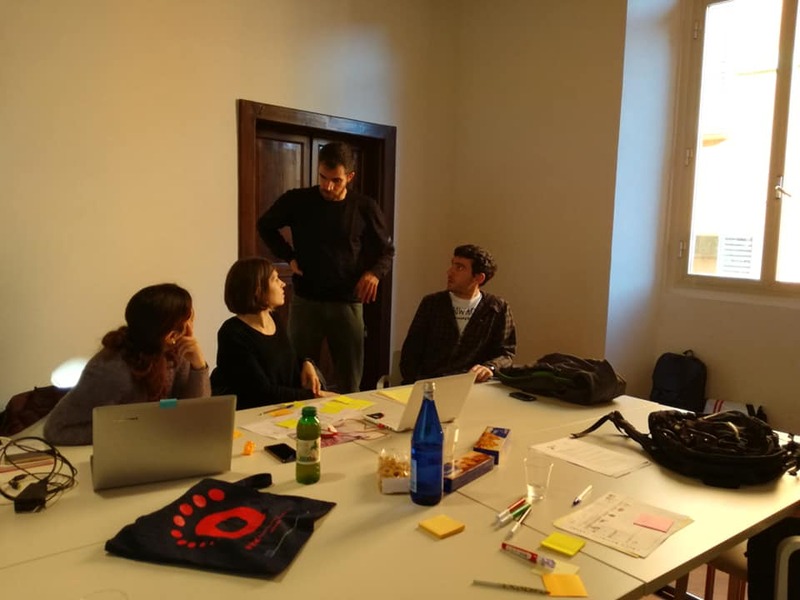 BackBO is a “circollaborative” lab (a circular economy laboratory in a coworking space in bologna), where people transform their disposable packaging into valuable items and are rewarded for it. This should help our societies evolve away from the throw-away culture, and contribute to the sustainable development of cities, benefiting the local economy, society and the environment. Zefiro - Stay Cool will support and improve the response of cities to heat waves, reducing the number of people affected, especially among the most vulnerable and socially excluded, through the use of a platform and an app. During the session we designed and implemented a real-life test of the projects’ value proposition, through small-scale prototypes and direct consultation (interviews and surveys) of stakeholders, partners and potential customers, seeking to check the underlying hypotheses and enhance the added value provided in light of the results obtained. Besides, both in preparation for the interviews conducted and in review of them with the feedback obtained, we also worked on the communication dimension, honing their core messages for their various targets. Comune di Bologna (city council) via Raffaella Gueze from the “Ufficio Sostenibilità” (sustainability office). In the case of BackBO, emphasis was put on understanding the drivers that could trigger and maximize the engagement of users’ (and final beneficiaries), that is Bologna’s citizens and residents, and particularly university students in Via Zamboni area. To this end, a face-to-face survey was performed at the Scuderia Bar, at Piaza Verdi, right at the heart of the university district, and where the project has its headquarters and lab. The municipality (COBO) could be a highly valuable "enabling" partner providing institutional support, visibility, promotion, legitimacy, and other valuable assets to be explored. Additional meetings are required to keep building this promising and necessary partnership. The case of insurance companies, like UNIPOL, is more complex and demands further conversation with them to identify their needs more accurately, and adapt the value proposition accordingly, if appropriate and possible, while maintaining the original objectives. While they didn’t show much interest in vulnerable people as potential, direct clients of theirs, they did talk about both SMEs (Small and Medium Enterprises) and large companies as their principal target, so this new project beneficiary could be considered now to find common ground. Also, other insurance companies, with different approaches and targets could be engaged. As per the NGOs connecting with the vulnerable communities, their initial reaction was a bit negative, but it may have to do with the interview's channel (phone) not allowing to set the context adequately at first, so further validation is needed via a face-to-face meeting, and also with other NGOs to enlarge the sample. Private institutions dealing with the same beneficiaries (or in general people affected by the challenges addressed) like hospitals and schools. Companies (large, medium and small) whose employees could be affected as well, for instance in terms of transportation. The green routes service from Zefiro may create value at this point, perhaps in collaboration (partnerships) with other mobility solutions like car/bike renting or sharing. Individual citizens, pertaining certain characteristics like being aware of (and affected by) the problem, and capable of affording a dedicated service. Dealing with end users directly is usually complex and resource-intensive, so it should only be explored through partnerships with other companies or organizations that already involve them successfully, like some personal mobility apps. 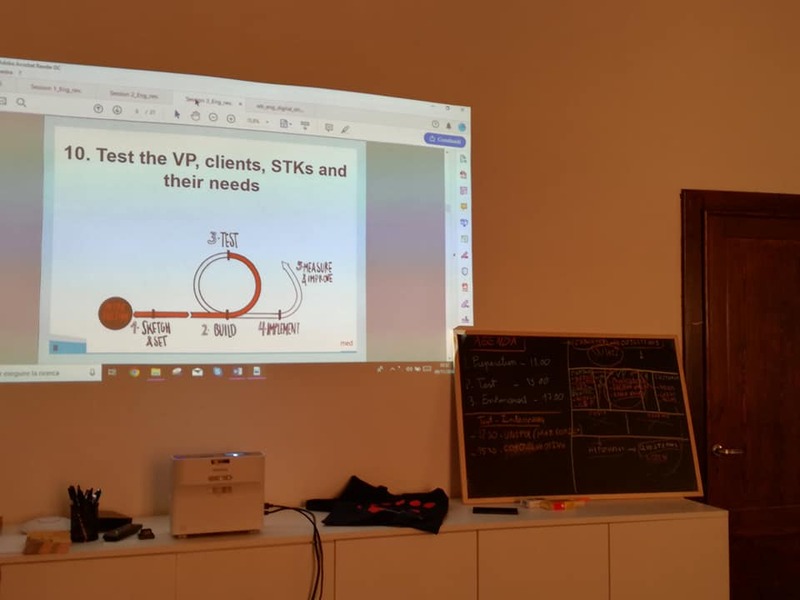 Moving forward in the incubation, the team now has to study these new potential customers by re-taking steps from 2.1 to 3.1 (basically the customer cards and customized value proposition), in preparation for new tests with them coming up. The initial consultation performed offered some hints on ways to lever the engagement of students and users of the crowd-sourced plastic-waste up-cycling project that is BackBO. Specifically, it underscored two main findings: young people are generally aware of the plastic pollution problem globally and in the area; and while survey respondents tend to say that they would participate in “clean-your-city action days”, real engagement is not certain until the actual activity is carried out, because of the usual “I don’t want to look bad on the interview” type of feeling. In this sense, this crucial information will now serve to design and plan a real participatory test, simulating the project’s intended functioning, that will be run in Scuderia on December 4. Also, arrangements and final preparations for Pietro’s participation in COP24 will now enter its last phase, in terms of logistics and tweaking the presentation to be delivered. Last but not least, the ecopreneurs were advised to always seize the opportunity to talk to a relevant number of common people (final beneficiaries), from different profiles (including vulnerable but also students and tourists), to understand their views on the topics at hand (climate change, heat waves, plastic pollution, etc. ), so as to ultimately mobilize civil society to step up our collective response to these “glocal” challenges.